How long is Danny B away from starting with the first team? I think D Edwards said confidence is so important in football. For some reason as a club, and this goes back some way, for no apparent reason or sometimes when we concede a goal the players en masse stop playing; no one risks going past a player and just passes square or back. That happened the second half of the QPR game and worse at Cardiff. Last season when we shipped all those goals and lost 4 or 5 on the trot was a case in point. So far KJ has managed to rally the troops as well as any recent manager. What does help is 1 or 2 players willing to go forward and get the momentum going and the captain did try a few runs from defence on Sunday. I'm not sure a big win would make much difference today as few of the "1st team" are on the field but it would the supporters no harm. 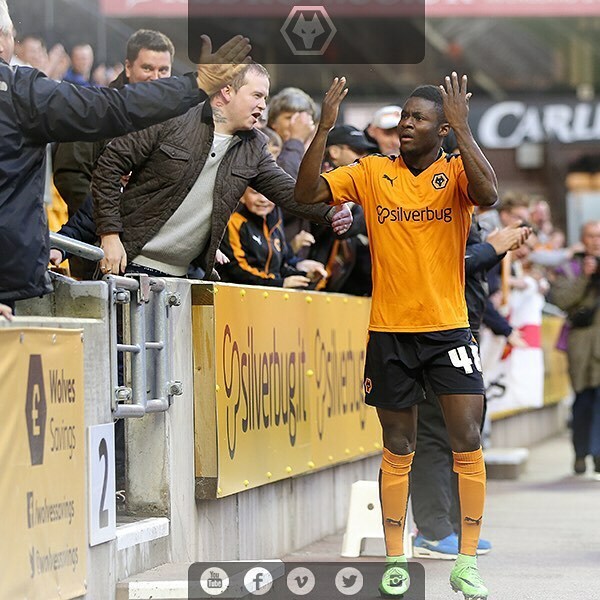 Sub for Wolves: Bright Enobakhare is replaced by James Henry. The sides are back out and both will make half time changes. has Saville ever played for Wolves without being carded? See you shortly for the 2nd half folks! Coffee time! Half time. Very enjoyable first half. Wolves should be at least three up after creating lots of chances. H/T Wolves 1-0 Barnet: Bright Enobakhare's early goal separates the sides at the break. A half which Wolves have seen much the better of. 45+2' Enobakhare wins the ball inside the Barnet half, he beats two men before breaking into the area. Halted by a great last-ditch tackle. bet its good in Thialand itself! My second wife had a long throw in. Caught me with a bottle opener from far end of the lounge during a little disagreement. Great play from Wolves - so close again! 44' Le Fondre with a cracking run across the Barnet box, he rounds the 'keeper but goes too wide and shoots into the side netting. is it possible to show the names of the bloggers in bold type? 44' Deslandes is released into the Barnet area, he shoots low towards the near post but Jamie Stephens gets down well to save. Andy Legge was the player I was thinking of....now back to Molineux! 43' Great work from Le Fondre to bring down a long ball, he shields before shooting on the turn, blocked at close range.